April 2, 2011. This was the day Sri Lanka was crowned the second best ODI side in the world after losing to India in the World Cup final in Mumbai. Expectations became sky-high and the players were treated as ‘demi-gods’ back home like in 1996 when Arjuna Ranatunga led Sri Lanka to their inaugural World Cup victory. However, eight months later and it is a different story to tell altogether. Something has seriously gone amiss as the men from the emerald island look only a shadow of themselves; they just do not seem to be the team that they were before. 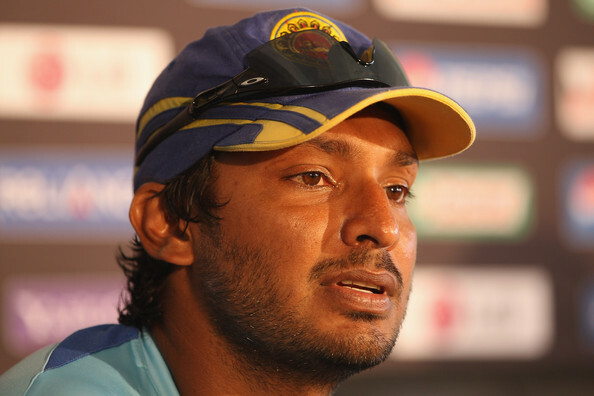 Kumar Sangakkara took over captaincy of the team from Mahela Jayawardene since the T-20 World Cup in 2009 in England. Consequently, Sangakkara and co. met with instant success. They contested yet another final of a global tournament with panache, that it was considered unfortunate for them to lose since Pakistan who were the eventual winners, are and have always been a mercurial side. The good form continued in the shorter versions of the game and this led to the creation of a potential champion team with a blend of experienced players and talented youngsters who looked to have the ability to excel at the international level. Even in Tests, it was under Sangakkara that Sri Lanka rose to the top 4 of the ICC Test rankings for a period of time. However, the fall began soon after the 2011 World Cup. Sangakkara quit as captain of the national side from all formats of the game, surprising the cricketing globe, after an amazing year for Sri Lankan cricket. After all, isn’t it obvious that a team which came second in a world championship final should look to embrace continuity in order to win the next time around? Alas! It is not so obvious for Sri Lankan cricket and in particular Sangakkara for reasons he knows best. Consequently, Sri Lanka’s dashing opening batsman, Tillakratne Dilshan was chosen as his successor keeping in mind the lead up to the 2015 World Cup in Australia and New Zealand. Tillakratne Dilshan has so far been a captain who is enthusiastic on the field most of the times, and that can motivate a team in trouble. Plus, the fact that his loyalties are always towards his country rather than club teams always helps. Dilshan gave up playing for Royal Challengers Bangalore a little earlier than expected of him to give himself enough time to bond with his team for an important tour to England. However, these qualities have not proven to be good enough as he has not won a single Test or ODI series as captain so far. In England, Sri Lanka lost 0-1 in a 3 match Test series which could have actually been a drawn series had it not been for an infamous batting collapse in Cardiff. Following the tests was a 5 match ODI series that was closely contested but England prevailed by 3 games to 2. Sri Lanka could have been more consistent but that was forgiven for a while. However at home, disaster struck. Australia toured Sri Lanka for the first time in seven years and it was widely expected that a much-settled Sri Lankan side would beat a fragile Australian side which is yet undergoing major changes. That was not to be as Australia won the ODI series convincingly although the final scoreline was 3-2 once again. And in the Tests, Sri Lanka did not play as a side which was close to invincible at home at one point of time. It was another bad session once again which cost Sri Lanka the Test series as well and subsequently a drop in the Test rankings. Sri Lanka were under pressure once they entered the United Arab Emirates to play Pakistan in their ‘home’ series. Sangakkara once again shined in the Tests with the bat, but the team was a one-man army and Pakistan took advantage of the team’s poor form. Another series was lost 0-1! As much as Pakistan played well, Sri Lanka played poorly too and deserved to lose. Dilshan unsuccessfully led an embattled team in the ODI series to follow as Pakistan walked over them as if they were pushovers who had forgotten how to play top-level cricket. 1-4 is not the kind of scoreline which will inspire a team to travel to South Africa next, which will be one of their biggest challenges in recent times. The reasons for Sri Lanka’s failure are varied. A few players had participated in this year’s IPL and received thousands of dollars having turned out for their respective franchises. However, those who could not, have waited for close to a year now to receive their salaries from Sri Lanka Cricket (SLC). In these testing times for the global economy, like the South African cricketers, I too admire the determination of the Sri Lankans to still turn up in national colours. If it would have been Australia or India, there would have been as massive a rebellion as the French Revolution. Yet, it is evident that the players too are running out of patience with a callous administration and the widening bubble of demotivation within them has resulted in poor performances on the field. SLC has to pay the player’s dues with whatever funds come their way since Sri Lankan cricket’s decline has now become a hot topic even in the Parliament! 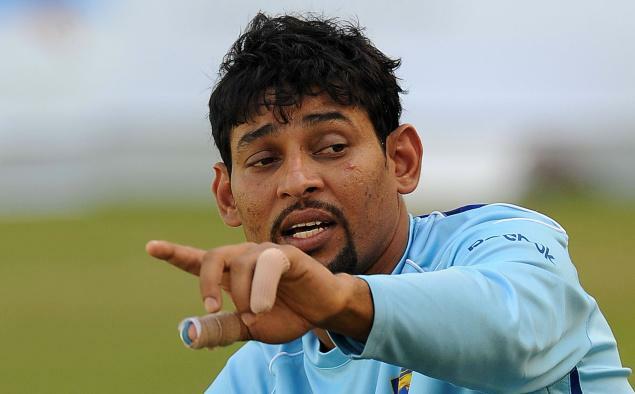 Tillakartne Dilshan’s captaincy has proved to be a disaster, as the media back home have him under the pump. And to an extent, they are correct. He does not have the charisma to lead from the front due to the presence of senior players in the side. Besides, he still remains irresponsible when he is batting, and sometimes cricket teams need their captain to inspire them with what he does best. His role in the side is still unclear, so as a result his goals seem to be blurred in line with the team’s goals. A possible solution could be to see Kumar Sangakkara or Mahela Jayawardene take up captaincy, rather than being just mentors to a young, capable side since they boast of leadership qualities better than anyone else. And lastly, Sri Lanka have not learnt to live without Muttiah Muralitharan and maybe Chaminda Vaas as well. These two legends won Sri Lanka most of their matches, especially at home. In the post-Muralitharan era, the team has not won a single Test match! So perhaps, as Sanath Jayasuriya insists that Sri Lanka needs to deal with patience, maybe that is the way to look at this situation at the moment. However, one poor tour of South Africa and it could be Sri Lankan cricket’s deepest of lows staring at them.